Wind power's manufacturers have felt the squeeze on revenues and profits over the past 12 months as a growing number of global markets adopt cost-conscious auction schemes for new capacity. Technology editor Eize de Vries picks out the best turbines, rotor blades, drivetrains and innovations for the 2018 Windpower Monthly awards. Mergers and acquisitions may have sharply reduced the number of wind-turbine makers in recent years, but the competition is no less intense for that. The new wave of 4-5MW onshore turbines launched by most of the leading OEMs is probably the clearest reflection of where the industry is heading, but the key design drivers of 2018 were lowering LCOE using (compact) modular design, digitalisation, bigger rotors, global supply chains and reduced upkeep. Our categories are unchanged from last year. Turbines are judged in three classes: up to 2.9MW and 3MW-plus for onshore machines, with a separate class for offshore hardware. There are also awards for drivetrains, rotor blades and innovations. 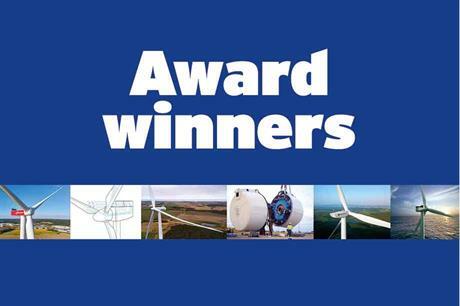 Turbines need to have been made available for commercial order over the past 12 months, with at least one prototype installed and operating, to qualify for a Windpower Monthly award. Working prototypes are also required for the blade and drivetrain classes. Eyecatching technology is only part of our criteria. We also aim to recognise the more routine requirements of wind-energy generators, including the quality of the product’s design and manufacture, its track record, order backlog, specific characteristics, and the ease with which it can be produced, transported, installed and operated. As always, a key question is: how does the product contribute to speeding up the energy transition, and at the lowest possible carbon footprint and LCOE? We depend heavily on the cooperation of the industry’s OEMs and main component suppliers in our selection, specifically in terms of information about the number of units sold, the size of the order book, and technical details on new machinery. The overwhelming majority of companies have been happy to help, and we thank them for their contributions. Regrettably, GE has declined to disclose much of this information, claiming it to be confidential. For this reason, we have been unable to include a number of GE’s products in this year’s selection.